Posted by mplibrary in Uncategorized. The historic City Lights Bookstore in San Francisco has always been at the front of anti-censorship issues. The store/publisher was begun by Peter Martin and Lawrence Ferlinghetti to publish Bay Area writers, including Allen Ginsburg’s controversial Howl and Other Poems (1956) which sparked a famous obscenity trial. Keep up with happenings at City Lights via their blog http://blogcitylights.com/ . 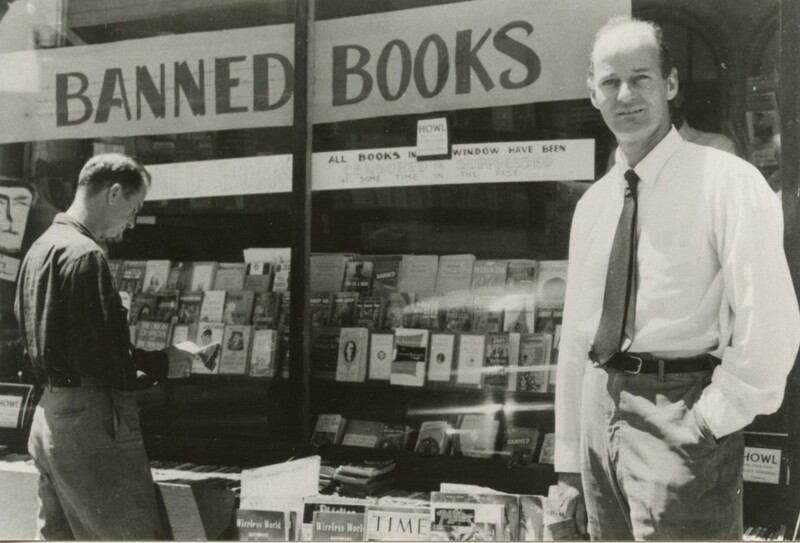 Here’s a great photo of Ferlinghetti and a 1958 display of banned books- long before the ALA designated its Banned Books Week. 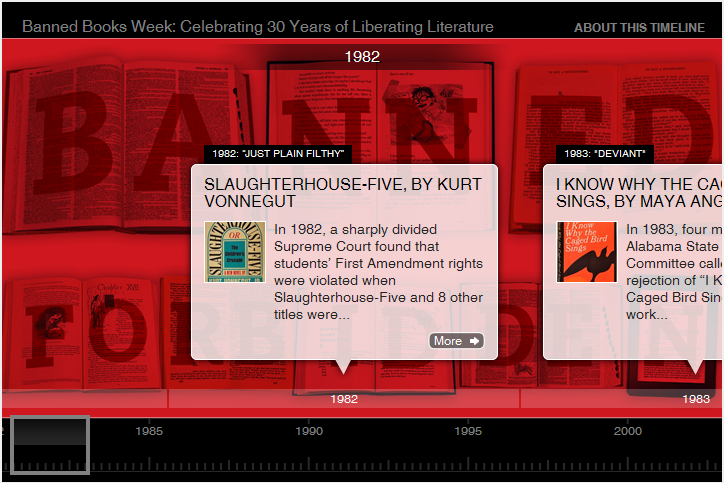 Once again we observe Banned Books Week, in which our treasured freedom to choose what we read is celebrated. In this year’s Virtual Read-Out, celebrities and ordinary citizens read from banned and challenged books. Maybe you’ll want to contribute a video of your own! Congratulations to our Education Department on its new Masters in Curriculum Leadership, a first at TWC! To provide graduate level research materials for students in this program, the library now offers Education Research Complete, a database containing full text for over 1,400 education journals and 550 books, and indexing and abstracts for 2,400 journals. Posted by mplibrary in @ your library. 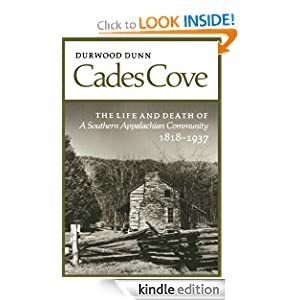 Dr. Durwood Dunn, chair of the TWC History Department, has a Kindle book! His 1988 book, Cades Cove: the Life and Death of an Appalachian Community, 1818-1937, is the University of Tennessee’s best-selling book. So popular, in fact, that they decided to put it on Kindle. So congratulate Dr. Dunn on going digital and start reading his e-book today. Or if you prefer to do your reading from paper and ink, the TWC Library has several copies on the shelf. Posted by mplibrary in fun stuff. These Holston Conference youth took advantage of the cool breezy day and library wifi to do some internet research just outside the building. Encyclopaedia Britannica announced this week that it will cease publication of its print edition. Don’t forget, we have Britannica Online Academic in our database lineup. 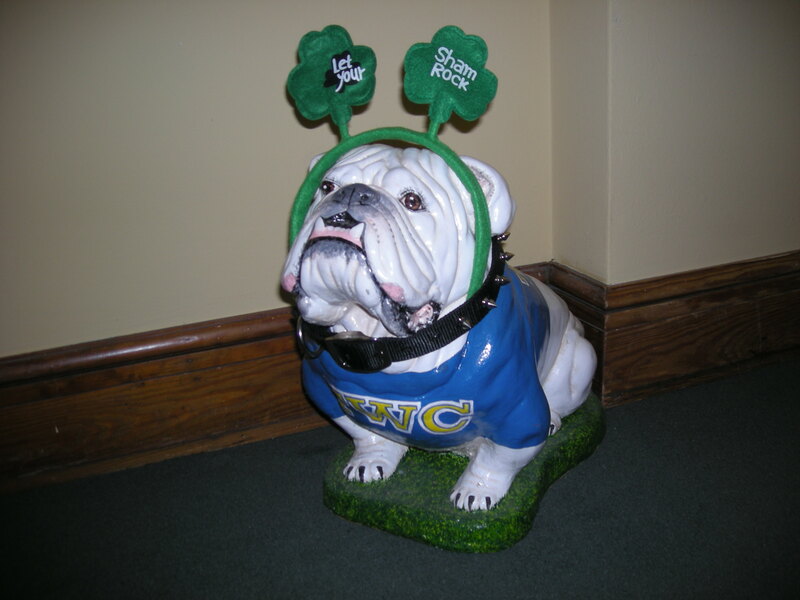 The editors at Britannica see this not as a sad ending but as a positive continuation of the digital services they have been offering for years, as they explain in this post. As they say, “…the encyclopedia will live on- in bigger, more numerous, and more vibrant digital forms.” Our online edition has not only encyclopedia entries but maps, video, timelines, ebooks, and magazines.